Note: This ARC was provided by the author via Give Me Books Promotions in exchange for an honest review. Character Flaws is a standalone romantic comedy and my first read by Sierra Hill. The synopsis for this book had me thinking that the main characters--twenty-four-year-old high school teacher Josephine Hughes and twenty-six-year-old stage actor and aspiring playwright Theodore Crawford, better known as Joey and Theo, respectively--weren't on the best of terms, but it turns out that wasn't even that big of a deal in terms of the story. Basically, Joey has a gay neighbor, Patrick Donaldson, whom she's good friends with. When Theo, a friend of Pat's, dog-sits for the two months Pat will be overseas, Joey strikes up her own friendship with him, even though he didn't exactly leave her with a great first impression (hello, hangover). Things are easy and relaxed between the two of them, but Joey develops feelings for Theo--very non-platonic feelings. It's a recipe for heartbreak because who the heck would not just crush on but actually start falling for their totally hot gay friend? Only, who ever said Theo was gay? 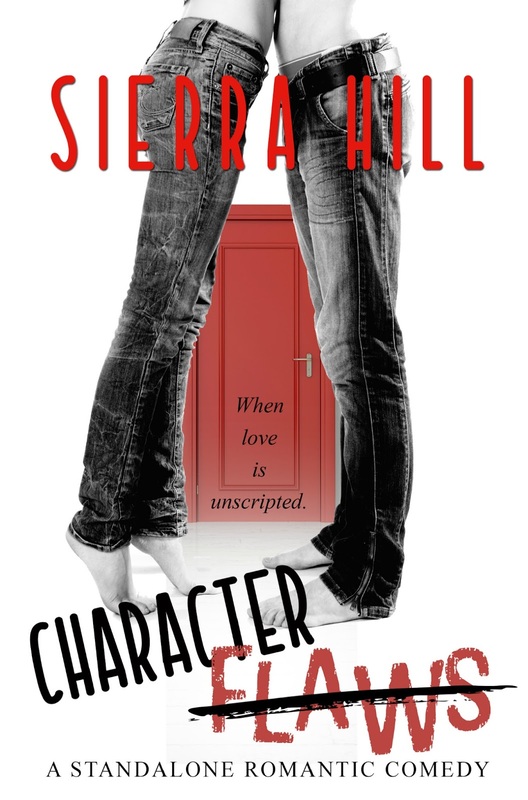 Learn more about Sierra Hill. Purchase Character Flaws on Amazon.